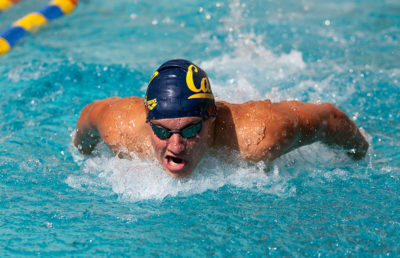 Normally, diving events are a side note in swimming meets, but this weekend, Cal men’s diving will take center stage. The team will head to the mountainous Flagstaff, Arizona for the Northern Arizona University (NAU) Lumberjack Invitational. The Bears will send four male representatives to this eight-school showcase, of which many participants are within Cal’s NCAA qualifying division. This is the first time that the Cal diving program will compete in the NAU Lumberjack Invitational. The Bears will move away from the November Texas Diving Invitational after participating each of the past four years. Each day will feature a different competition, with the 1-meter springboard Friday, 3-meter springboard Saturday and platform Sunday. The springboard competitions will feature a preliminary round before a finals round, whereas platform will only have one final round. The lone returning member from last year’s team, sophomore Connor Callahan, qualified for 1-meter and 3-meter Zones in a double meet at Utah a month ago. Callahan, who made it all the way to the NCAA championships last year, will look to qualify for platform competitions as well. Freshmen Johnny Robinson, Jared Kloos and Jackson Gabler will try to put up the first qualifying scores of their collegiate careers. Robinson came close last time out in Salt Lake City, scoring 315.15 in the 3-meter springboard. Starks may only be in his second year of coaching Cal divers, but he has more than a decade’s worth of coaching experience. More importantly, he was a collegiate diver himself, earning 2006 ACC Diver of the Year honors with Miami. 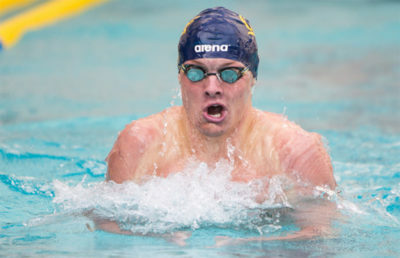 The current Cal divers have certainly benefited from his background, and the results show — the Bears sent both a male and female representative to the NCAA championships in his first year at Cal.